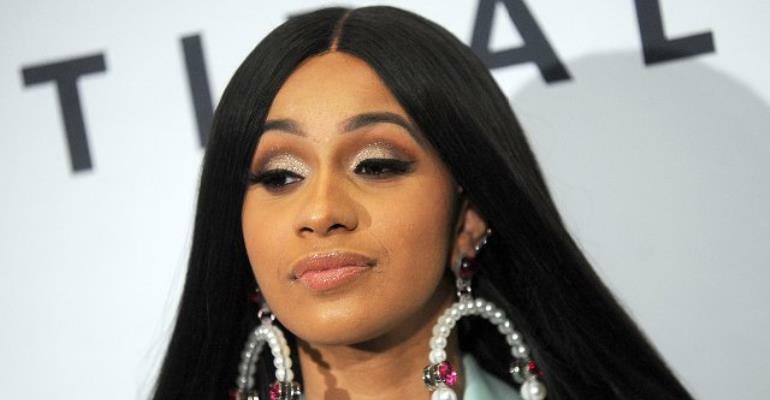 Cardi B has filed to trademark her catchphrase/sound effect, "Okurrr". The New York-born star peppers the phrase throughout her Grammy-winning debut album, Invasion of Privacy. Last year, she described it as sounding like a " cold pigeon in New York City ". The rapper is not the first star who's attempted to trademark catchphrases and lyrics. In 2015, Taylor Swift filed to protect phrases including "this sick beat" and "we never go out of style" from her hit album 1989; while Britney Spears made a failed attempt to trademark the song title Toxic in 2005. Prince's estate is currently trying to trademark a specific shade of purple, called Love Symbol #2, which it claims is the "official colour across the brand he left behind". And Beyonce and Jay-Z have even tried to trademark their daughter's name, Blue Ivy Carter, in an attempt to stop opportunists from using her name on unlicensed products. However, their applications have been turned down by the United States Patents and Trademark Office, with a fourth attempt currently under review.